Information Riverport and District Community Centre is committed to providing the Riverport and Area with a central facility that the residents can use free of charge to carry out community based activities. The center is currenty used by the youth, seniors, Board of trade, Oddfellows, Lions, Coffee club, Whist and dart club and various community church groups. 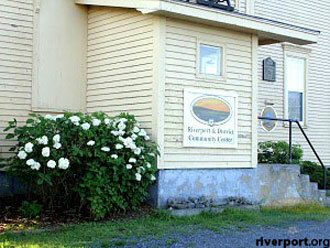 Riverport and district community Center is a turn of the century building approximately 100 yrs old. It served the community as a school house until the 1950.It was converted to a community center in the late 1960's and has served the community since then. 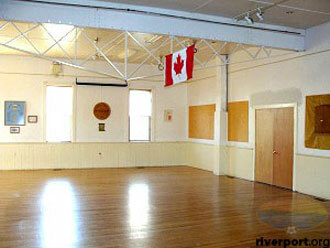 The building has a rich history reaching back to its early use as a temperance hall. The center is operated and maintained as a charitable organization and has an elected executive that meet once a month and holds an annual general meeting in the early spring months. The executive is responsible for day to day operations and expenses of the center and holds various fundraising activities to generate the revenue required to meet the annual operating budget requirements.